I met Kate and Tyler over 10 years ago, when we were all working at Barnes and Noble. When they started dating, I remember thinking... "now that's a great couple." Fast forward to September 2018 - and it turns out - my intuition was spot on. Yes, Kate and Tyler are still a great couple; but now, years later, you can really see why. Their love, commitment, friendship, and camaraderie is contagious to everyone around them, including the small group who attended their wedding on one of the most beautiful days of the year. Gregory Parks, my photo assistant, said he felt that "seeing such heartfelt joy between two families that night was fantastic." Kate and Tyler - thank you for letting us be a part of such a spectacular day. Best wishes for a lifetime of happiness. I met Lauren back in college, and she always exuded this remarkably loving vibe. When I met her fiance Jim last year, I could see that she had truly met her match. These two are an incredible couple - you can feel the love and the laughter surrounding them everywhere they go! After a gorgeous, intimate ceremony at Georgetown University's historic Dahlgren Chapel, the couple met their closest friends and family at Glen Echo Park. If you've never been to Glen Echo, you've been missing out! It is a fully restored vintage amusement park on the border of Northwest DC. I couldn't think of a better spot for this couple to celebrate their love than this exuberant retro venue. And did I mention... this couple can dance!!! Congratulations Jim and Lauren - may you continue to radiate the happiness you felt last Saturday night! It's back!!! $125 for a 90-minute outdoor shoot! Click here for details or to book. These two could not have picked a more beautiful day or setting for their autumn wedding at Antrim 1844 in Taneytown. The heartfelt ceremony in the garden seemed to embody everything Rachel and Adam feel about each other - their laughter, understanding, and deep-seeded respect for each other shines through in every photograph. The reception was filled with unique and unforgettable reminders of this couple's down-to-earth personalities - every last detail was truly one-of-a-kind. Family and friends danced late into the night, and it was clear that each guest was feelin' the love right along with the bride and groom! Rob and Samantha’s Annapolis wedding was truly the epitome of classic romantic style. Before tying the knot, these two opted to drive around their favorite city in Rob’s 1967 Chevy Camaro with only a photographer and a bouquet of red roses in tow (needless to say, this was a very fun day for the photographer as well!) After checking out some of their favorite spots in Annapolis, the couple was joined by close family and friends at the courthouse for a sweet and intimate ceremony. Rob and Samantha did not need any help with posing for photos - their feelings for each other were so plainly written on their smiling faces all day long! 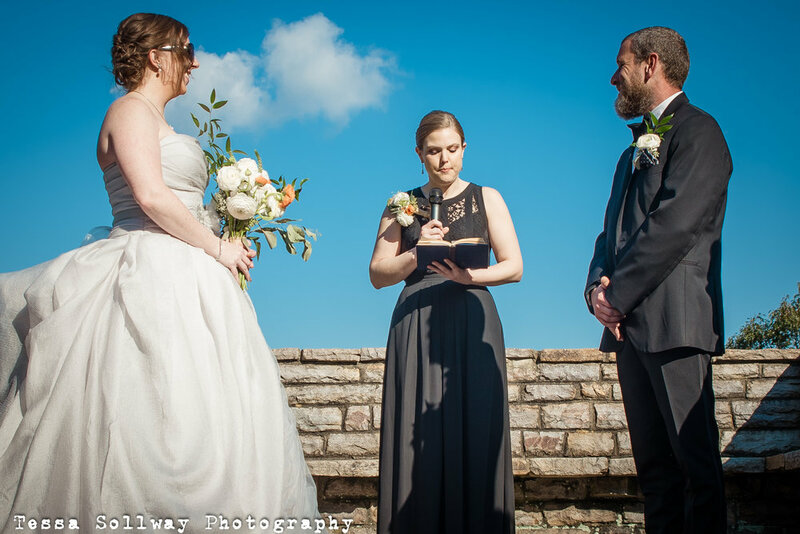 It's a rare thing these days to attend a wedding that truly reflects the personalities of both the bride and the groom; but Zack and Andrea's beautiful wedding at Snow Hill Manor did just that! This laid back, funny, and loving couple could not have picked a more gorgeous day for their nuptials, and their guests obviously were feeling the love (and the weather) as well. The happiness emanating from Zach and Andrea was contagious - I'm pretty sure that every photo I snapped the whole day contained nothing but smiles. These two sure know how to treat their guests, too - I don't think anybody will forget that cookie truck anytime soon! I was so excited to receive Jack and Dianne's wedding invitation last summer, but even more excited to shoot their big day! October 3 was a drizzly day, but for this laid-back couple with a BIG sense of humor, there was no need to stay inside - Dianne even brought her galoshes and umbrellas for the bridal party! 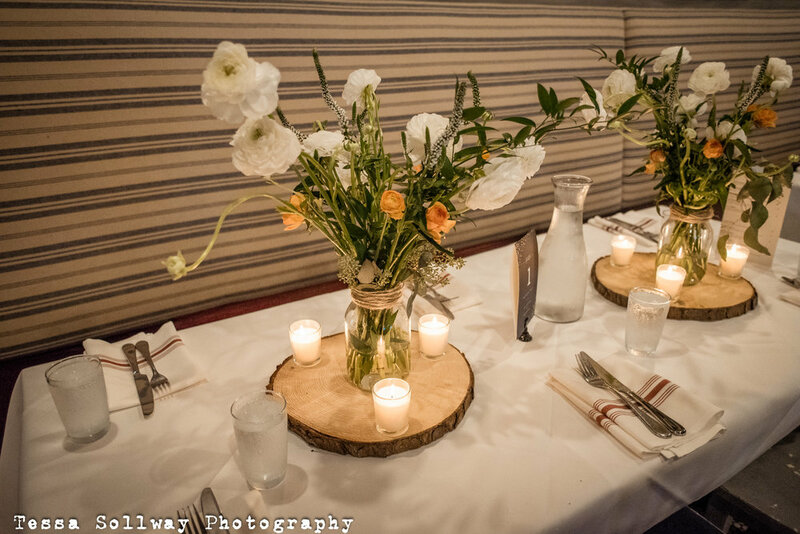 After a very heartfelt and beautiful church ceremony at St. Columba's Episcopal Church in Washington, D.C., family and friends met up later that evening at the uniquely intimate Chez Billy Bistro downtown. Dianne and Jack's guests clearly love this couple so much, because the fun never seemed to stop. And yes, in case you were wondering, their First Dance was indeed a little ditty called "Jack and Diane!" I was so proud to shoot Heather and Brandon's wedding last month at the beautiful Canna Country Inn in Pennsylvania. I've known this couple for many years, and watched them grow up together, get engaged, and plan their dream wedding. Heather's "do it yourself" talents could be seen in every nook and cranny of this wedding, creating a truly intimate and heartfelt event. Oh, and did I mention she baked all those cupcakes herself? Congratulations to a beautiful, loving, and dedicated couple! I was so honored to photograph your big day!